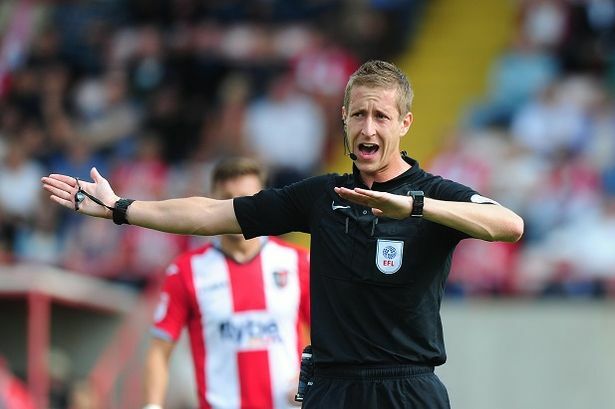 This week’s referee spotlight focuses on John Brooks, who was appointed the referee for the Swans v Sheffield United Championship game on Saturday, 19 January 2019. Brooks was assisted by Adam Crysell and Adil Howson, with Alan Young the 4th official for the game. John Brooks officiated his first EFL game in August 2016, when he took charge of the League Two encounter between Blackpool and Exeter City. Brooks has been on the FIFA International Referees List as an assistant referee since 2015. The 2018/19 season was the first time that John Brooks has officiated a Swansea City match as referee. Prior to this season, he had been a linesman on four occasions and the 4th official just the once at the Liberty.